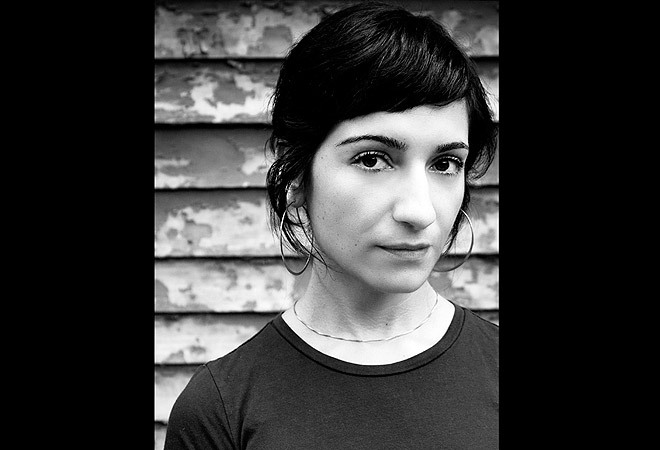 Born in Iran and now living in San Francisco, author and documentary filmmaker Laleh Khadivi writes her novels with Japanese ballpoint pens in unlined notebooks. Her trilogy of books, of which The Walking is the second installment, follows the journeys of Kurdish and Kurdish American men over three generations. The Walking was released March 5. In The Walking we follow two brothers who flee from Iran, one of whom ends up making it to Los Angeles. Your family also fled Iran in the wake of the Islamic Revolution. How much of your personal experience influences or guides the characters and plot in your new book or in the trilogy? Very little. In order to write with liberty and verve and depth I find that I have to create a fictional world that is far more extreme and dramatic and pulsating than the world of reality. The more I drift from the truths of personal experience the more the story is able to grow. In terms of the trilogy I am tracking a progression of men, of generations, from one part of the world to another, and while these are movements (tribal to national to international) similar to the movements of my family, it is not their specific story. What made Saladin want to come out to Los Angeles? Movies. He spends his childhood in the dark theater just outside his village and lets himself drop completely into the worlds on the screen. That there should be a world of endless clean highways, enormous skyscrapers and women with yellow hair fascinates him and his imagination and eventually his loyalty, love and feet move in him in the direction of the world depicted on the screen. Like all migrants and nomads and pilgrims though, there is no guarantee that the world he moves toward is real, or welcoming. I spend a lot of time “researching” only to realize-weeks, months – later that I have been procrastinating. For The Age of Orphans, the first book in the trilogy, I studied nationalism and how states were created in the Middle East. At some point I was reading only obscure European political philosophers from the mid-18th century. For The Walking I spent a lot of time researching migration form a biological standpoint and eventually I could tell you more about the Arctic Tern than about Saladin. There is a point of diminishing returns with research and once I reach that I force myself to throw out all my notes, spend a week walking around, and then I start writing. Japanese ballpoint pen, unlined notebooks, all the machines in my office unplugged.